Chaiyaphum – The mother of a female adolescent who died from drinking blessed water has identified four individuals accused of involvement in the case and the police are trying to arrest Reverend Ophaat, the leading figure. 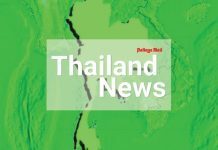 Supak Cherdchoho, an 18-year-old female resident of Kaoyadee Subdistrict, Kaeng Khro District, Chaiyaphum Province, was recently deceived by Reverend Ophaat Seesa-nga and his collaborators, including another monk, into taking part in a so-called ritual to dispel bad luck in which she was forced to drink a quantity of blessed water. Consequently, Ms. Supak convulsed, was hospitalized and died 3-4 days afterwards. The doctor stated that her death was due to convulsions arising from a lack of air. 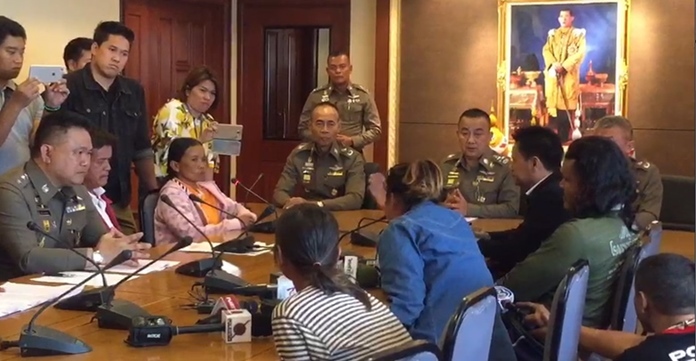 On Friday, Duangchit Khanakhao, the mother of the deceased, arrived to identify the four accused who had been arrested. Reverend Ophaat, however, could not be located. According to the testimony of the accused, the blessed water was indeed given to the deceased but was not forced on her. She vomited every time she drank it while the monk told her to keep drinking, from one alms bowl to two. The ritual was performed for her because when her father went to Reverend Ophaat’s abbey to ask for some blessed water, the reverend said that his daughter had bad luck because some magical power had been used over her. Believing the monk, the deceased’s family consented to the ritual. Royal Thai Police deputy commissioner Pol Gen Srivara Rangsibrahmanakul, says that at present Reverend Ophat, the commander of the ritual, is still being pursued for arrest. From the investigation, the individuals in this crime used to be in an abbey in Loei Province where they invited believers to drink blessed water in this ritual, but they later moved to Chaiyaphum. However, these individuals were not found to have any criminal record, and were not found to have caused anyone’s demise. Currently, forensic evidence, namely, the water cup and vomit container, are being tested. If a toxin is found, filing a charge of murder will be considered.